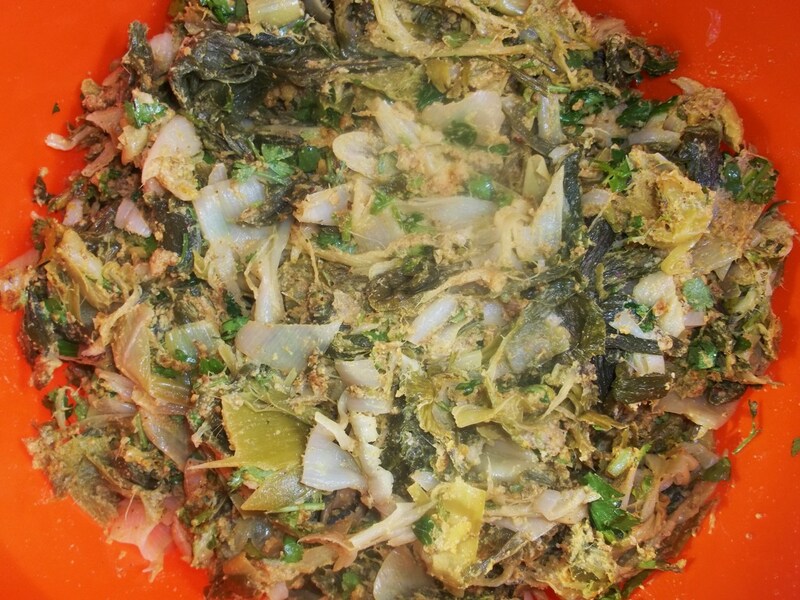 In this old recipe from Georgia’s Imereti region we show how to make Prasiela, a type of Pkhali or Fkhali (Georgian: ფხალი) that uses leeks and a spicy nut mixture. Served cold, Prasiela is delicious! 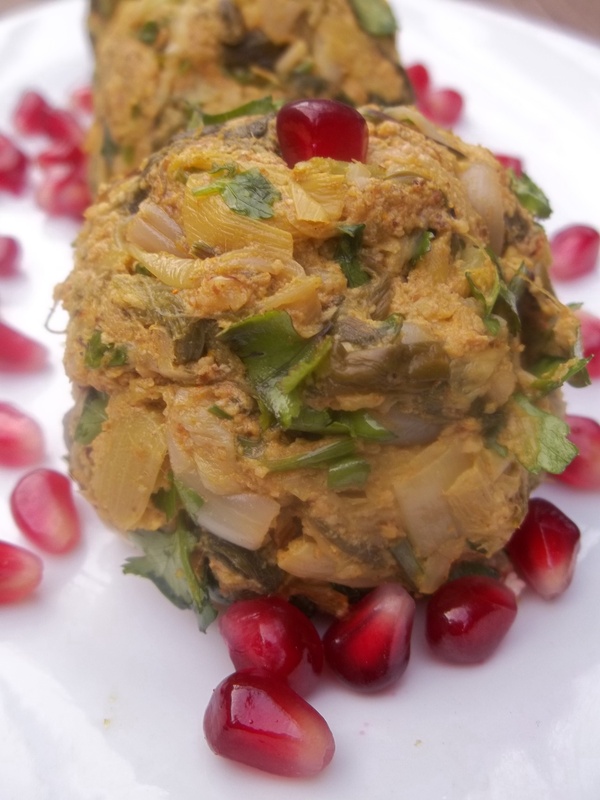 Ingredients: 1.5 kilos of leeks, 400 grams of walnuts, 30 grams of fresh parsley, 30 grams of fresh green coriander, 3 garlic cloves, 1 level tsp of blue fenugreek, 1 level tsp of dried marigold, 1 heaped tsp of dried hot red pepper (optional), 1 level tsp of dried coriander, 5 tbs of white wine vinegar, 2 tbs of vegetable oil, pomegranate seeds (for garnish), and salt (amount dependent upon personal preference). 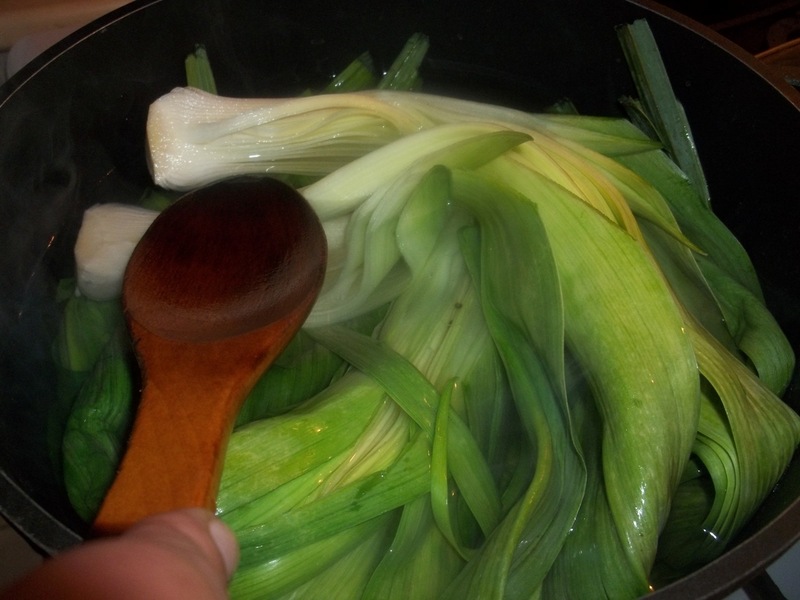 Preparation: Carefully wash the leeks and add to salty boiled water. 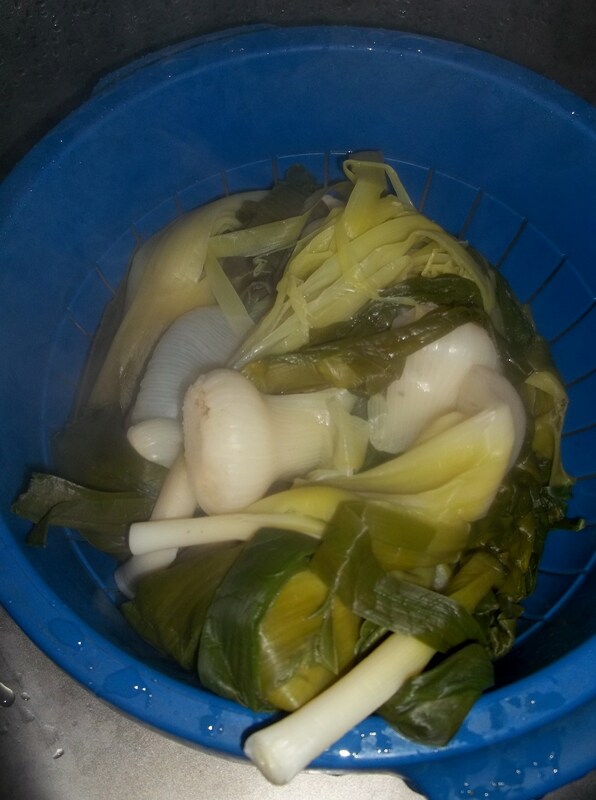 Boil for at least 25 minutes. 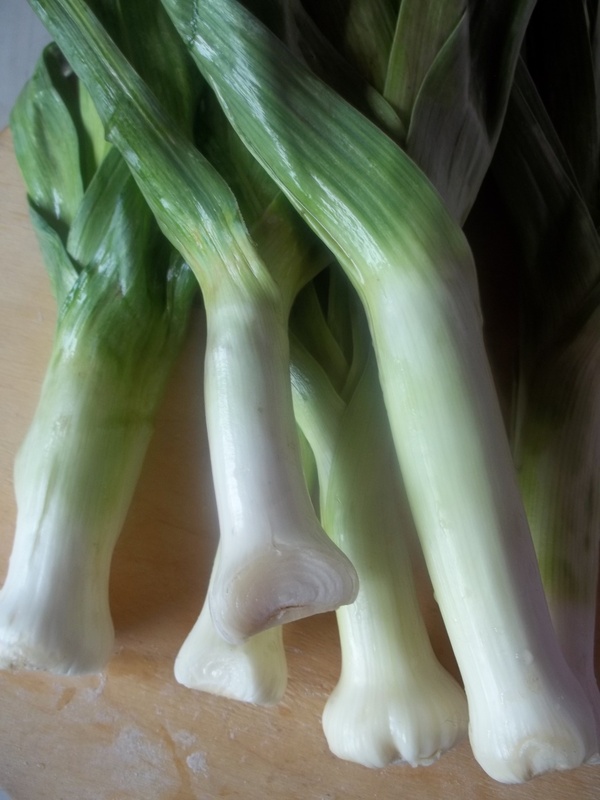 The leeks must be tender. Drain the water from the pot using a colander. 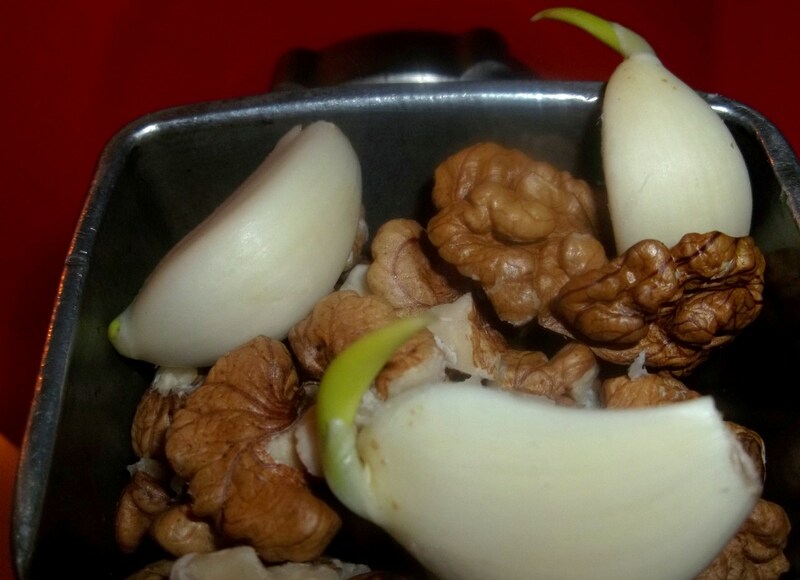 Grind the walnuts and garlic together. We used a meat grinder. 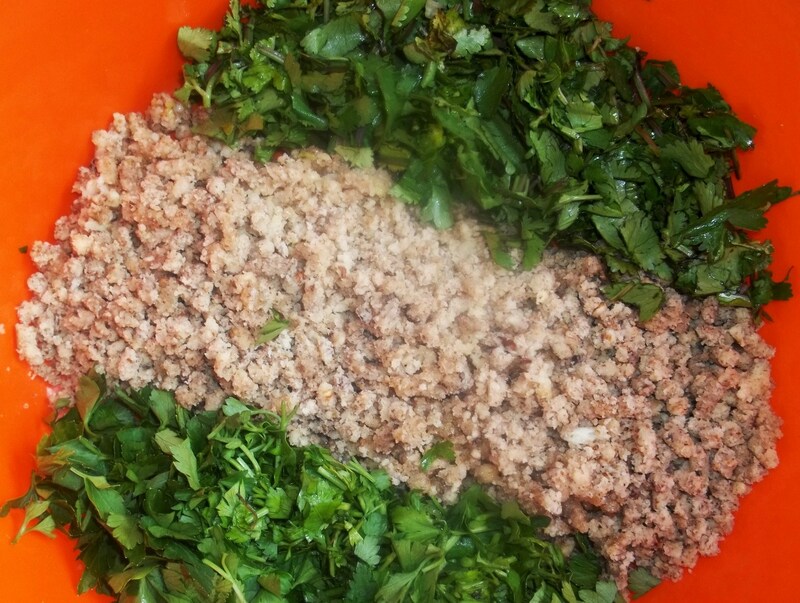 Chop the fresh green coriander and parsley and add to a mixing bowl, together with 5 tbs of white wine vinegar, 2 tbs of vegetable oil, and the ground walnuts/garlic. Mix thoroughly. 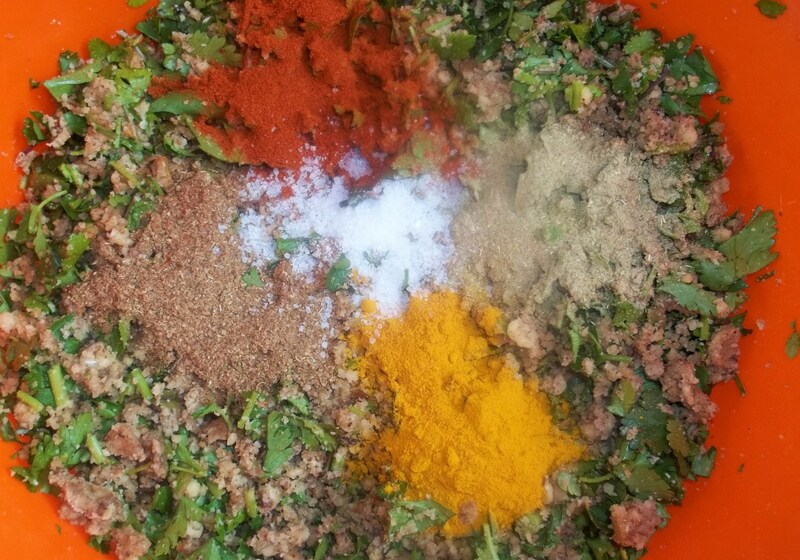 Add 1 level tsp of blue fenugreek, 1 level tsp of dried marigold, 1 heaped tsp of dried hot red pepper (optional), 1 level tsp of dried coriander, and salt (amount dependent upon personal preference). Mix with a wooden spoon. 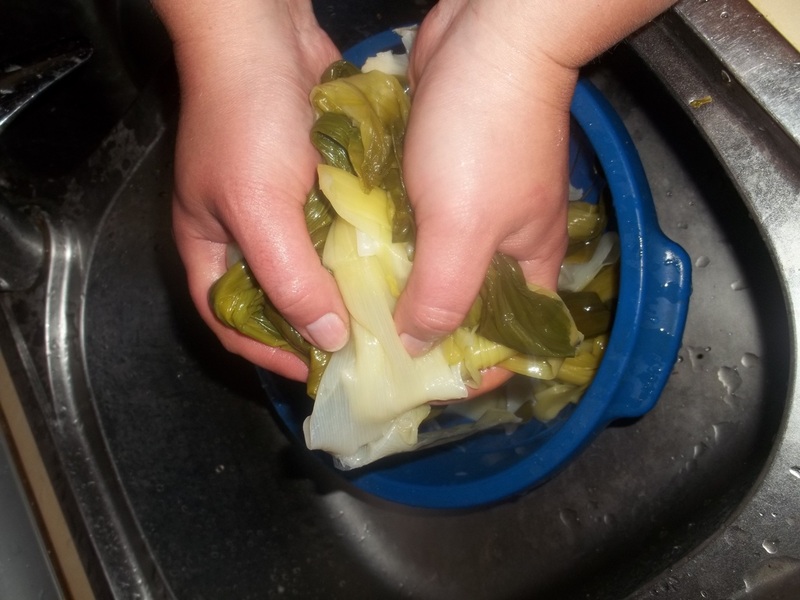 Squeeze the leeks with your hands to remove as much water as possible. 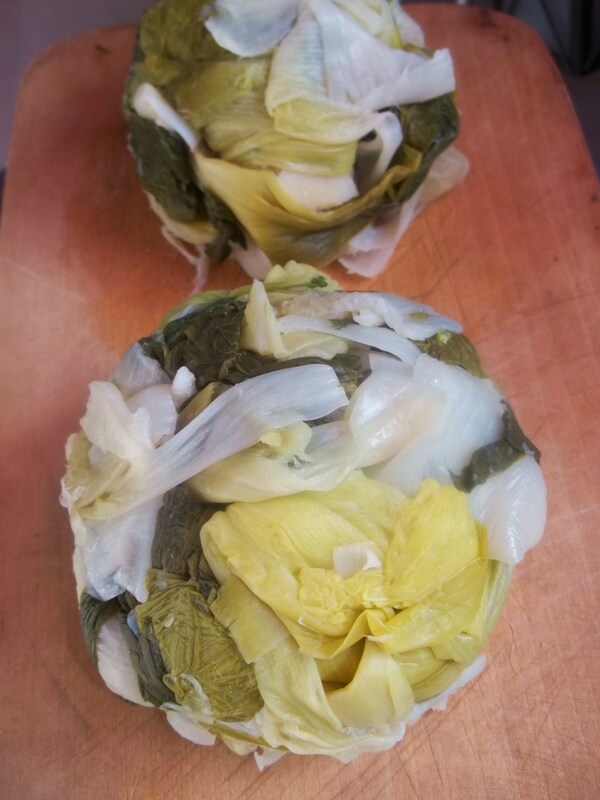 Form the leeks into a ball shape and squeeze very hard to remove any remaining water. Chop the balls of leeks and add to the mixing bowl containing the other ingredients. Mix thoroughly. Serving: Form the mixture into balls. Serve cold. We garnished our prasiela with pomegranate seeds. This looks so delicious. As a avid vegan it fits right into my menu. I can’t wait to try this later.